Jenny is a Family Law specialist in Rotherham. She advises on on divorce, all matters relating to children and financial matters. Jenny regularly represents clients in Court and often attends Local Authority meetings representing parents. Jenny graduated from Northumbria University with a First Class Masters’ Degree in Law in 2013. 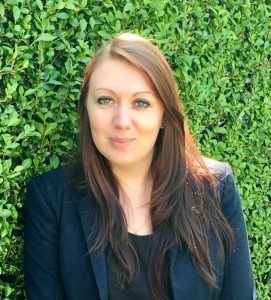 After successfully completing the Legal Practice Course and her Training Contract in West Yorkshire she qualified as a Solicitor in 2016. She has been serving the interests of family law clients in Rotherham and the surrounding areas since 2017 and brings real enthusiasm, commitment and professionalism to her work.